Currently serving a two-year sentence in Isfahan Central Prison, Mahdavifar’s civic activities have thickened his rap sheet with Iranian authorities in recent years. 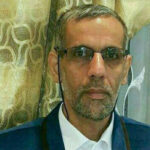 He was arrested by security forces in Mashhad (Khorasan Razavi Province) on January 14, 2018 and remained detained until March, when the Criminal Court of Aran va Bidgol issued a sentence: two years’ imprisonment and an approximately $400 USD (40 million IRR) fine, for charges of “Publishing Misinformation with the Aim of Disturbing Public Opinion” and “Contact with Foreign Governments.” This verdict was upheld in Branch 16 of the Isfahan Court of Appeals. Later, on July 29, 2018, he was sentenced to another eight months in prison for “Aiding and Abetting in Spreading Misinformation” by Branch 101 of Criminal Court 2 of his local Judiciary. Mahdavifar’s history with Iranian authorities goes back to 2014 when he was interrogated in Branch 2 of Aran va Bidgol Court for composing a politically-critical poem called “Alphabet” and reading it at the literary forums of Kashan. In 2015, he was sentenced to one and a half years’ imprisonment in Branch 105 of Criminal Court 2 on a charge of “Spreading Misinformation.” Branch 23 of the Appeals Court of Isfahan Province, presided by Hamid Reza Amani, reduced this sentence from 18 months to 10 months and an (approximately) $300 USD (3 million IRR) fine, by modifying the charge of “Spreading Misinformation” to “Propaganda Against the Regime.” Intelligence Forces would later arrest Mahdavifar in his home on September 19, 2016, and transfer him to solitary confinement in Isfahan prison, which is under the control of the Ministry of Intelligence. He spent 45 days there before being released. A source close to Mahdavifar’s family previously told HRANA that Mohammad “is suffering from respiratory problems as a result of his exposure to chemical weapons during the Iran – Iraq war, yet is housed in Isfahan Central Prison’s general ward alongside people convicted of drug offenses.” While Iranian prison code stipulates that prisoners with certain religious beliefs and criminal records be kept apart for safety reasons, reports suggest that authorities often skirt this rule. 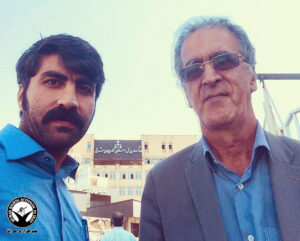 Human Rights Activists News Agency (HRANA)- Civil rights activist Amir Chamani has been sentenced to a six-month prison term on charges of “Propaganda against the regime” and “Cooperation with opposition groups.” Abbas Jamali, Chamani’s lawyer, confirmed news of the sentence to HRANA. “I heard the sentence today [Saturday, September 1, 2018],” Jamali said, adding that among evidence cited against his client were notes and articles by Chamani which criticized the country’s economic and cultural conditions. “My client was also accused of insulting the supreme leader, but he was fortunately acquitted of this charge,” Jamali said. Presiding over Chamani’s case was Judge Hamalbar of Branch One of the Revolutionary Court of Tabriz, the capital of East Azerbaijan province in northwestern Iran, home to Iran’s Azerbaijani ethnic minority. Chamani had published a note last week announcing his upcoming trial. Chamani has previously been pursued on similar charges. On July 5th, 2012, from Judge Hamlbar of Branch One of the Tabriz Revolutionary Court, Chamani received a sentenced of six months’ imprisonment for insulting both Iran’s Supreme Leader Ayatollah Khamenei and the late Ayatollah Khomeini, founder of the Islamic Republic. 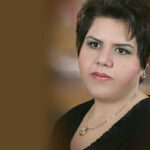 He received a three-month-and-one-day sentence for “propaganda against the regime” in the same trial. 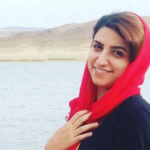 In another instance, after turning himself in for charges of insulting the President, Chamani was sentenced on January 13, 2013, to 40 lashes by the Tabriz Criminal Court. He was dealt the lashes on June 5, 2013, just over a week before the 2013 Iranian Presidential elections, and was not released from custody until October 2nd of the same year. Human Rights Activists News Agency (HRANA) – On August 12th, Farhad Meysami’s mother, along with lawyer Arash Keykhosravi, went to the Public Prosecutor’s Office of Evin Prison to inquire about his status and register Keykhosravi as Meysami’s attorney. Evin’s interrogation branch 7 denied the registration, referencing clause 48 of Iran’s Criminal Procedures Regulations. 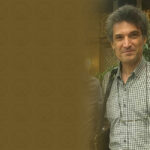 HRANA reported on Meysami’s arrest by security forces in his home on the evening of July 31, 2018. He was transferred to Ward 209 of Evin Prison and has not been heard from since. 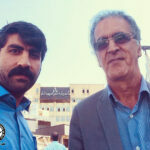 Keykhosravi confirmed that he was denied the right to represent Meysami on August 12th, adding that Meysami’s mother was frantically seeking answers after receiving a phone call in which sounds of her son’s torture, and supposed confession, could be heard. The interrogator at Branch 7 denied the call was made by prison authorities, and promised her a well-check phone call from her son. According to clause 48 of the new Criminal Procedure, during the initial stages of investigation against those accused of political and national-security crimes, defendants must pick their attorney from a list of lawyers pre-approved by the judiciary. Citizens’ rights organizations claim that this law infringes on the rights of the accused.